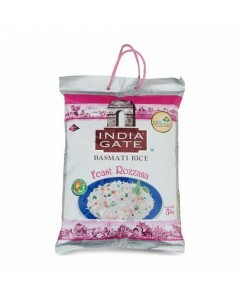 India Gate Feast Rozzana Basmati Rice are perfectly suitable for using in preparing several rice items. The long grain and aromatic rice offers you a big time relish able treat to yourselves.When the World thinks of Basmati, it thinks of India and India Gate Basmati rice. India Gate Basmati Rice will be an integral part of every quality rice recipe and on your platter to relish.